Italy really does have the best gelato in the world. 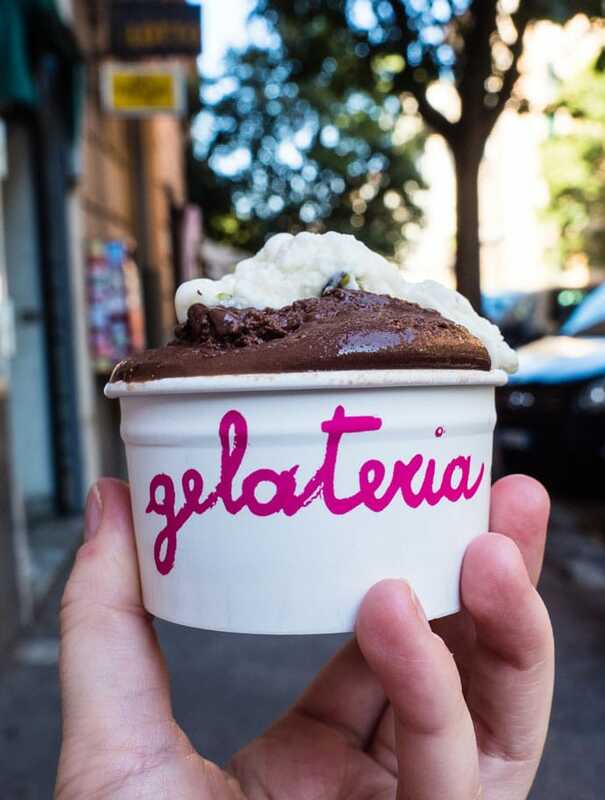 That’s not to say you can’t find amazing gelato elsewhere, but that much amazing gelato in one place… Italy wins hands down. When we spent a month in Rome, I decided that it was pretty important that I found the absolute best gelato in Rome. 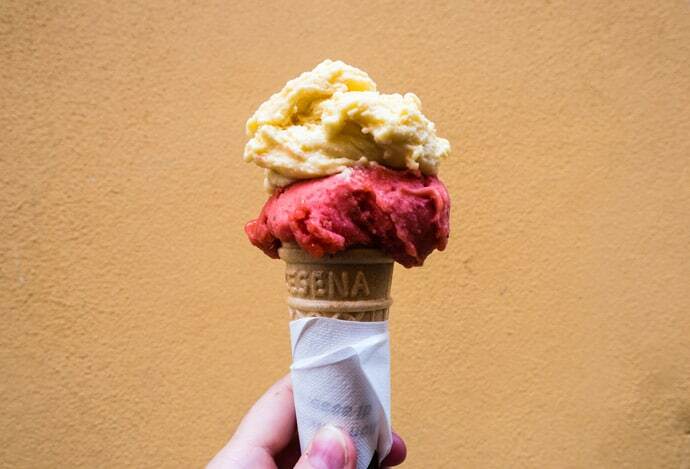 The gelato is so good that it’s not a matter of picking one place, but many that are all absolutely delicious. 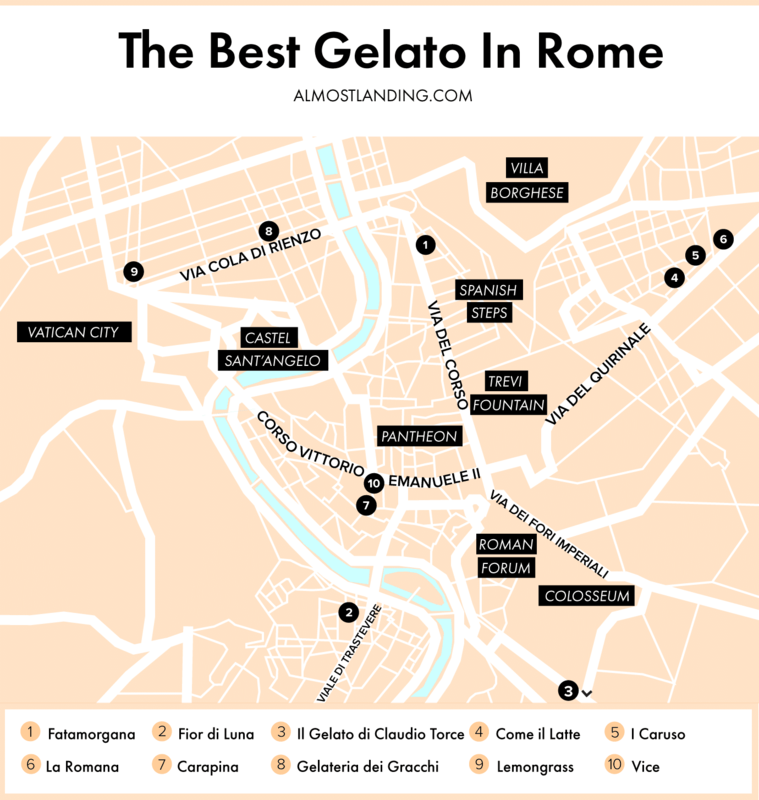 So here are my picks for the best gelato in Rome and a gelato walking map. I love how gelato in Italy can make grown men look like happy little kids. 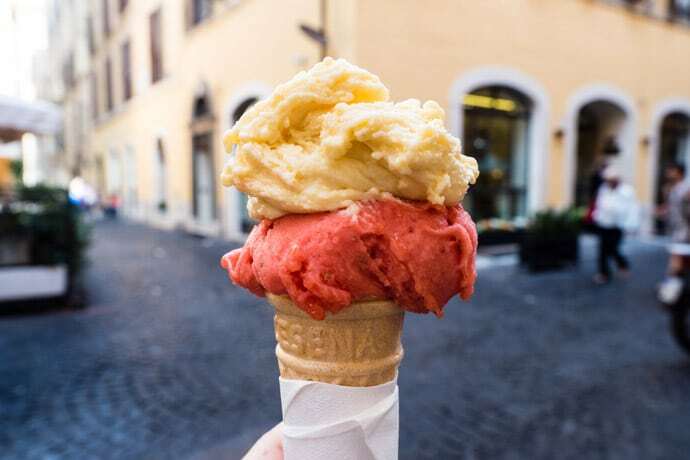 The number of men in suits eating gelato at any hour of the day or the taxi drivers having a gelato break chuckling over something made me realise how ingrained gelato really is in Italian life. I really wanted to make sure I was recommending the best gelato in Rome, not just every gelato I had. 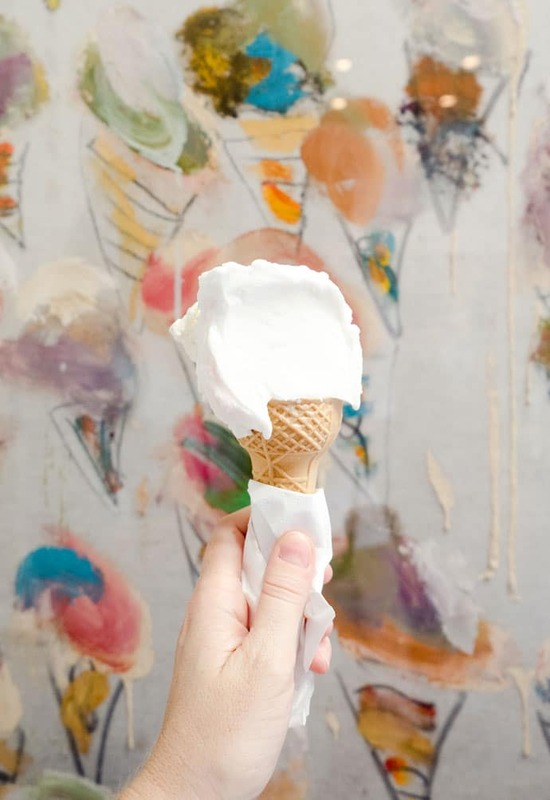 So I tried a lot of gelato and not every gelato I had has made this list, only my absolute favourites. Fatamorgana uses all natural ingredients and has seasonal and creative flavour combinations. 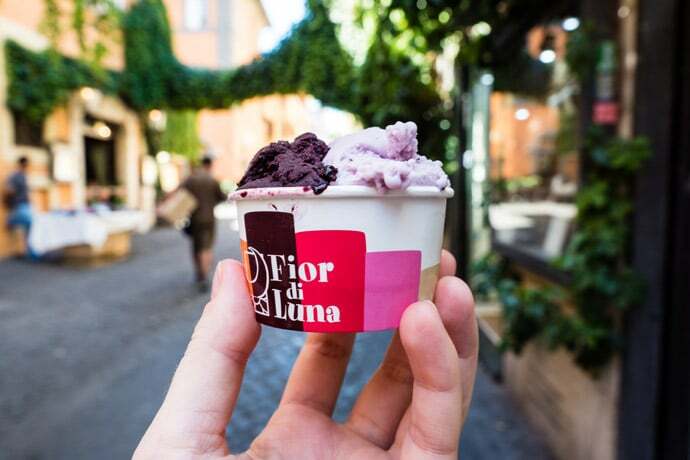 A beautiful location in Trastevere, Fior di Luna is a small shop with all natural ingredients. With a few locations across Rome, the most central is not too far from the Colosseum. 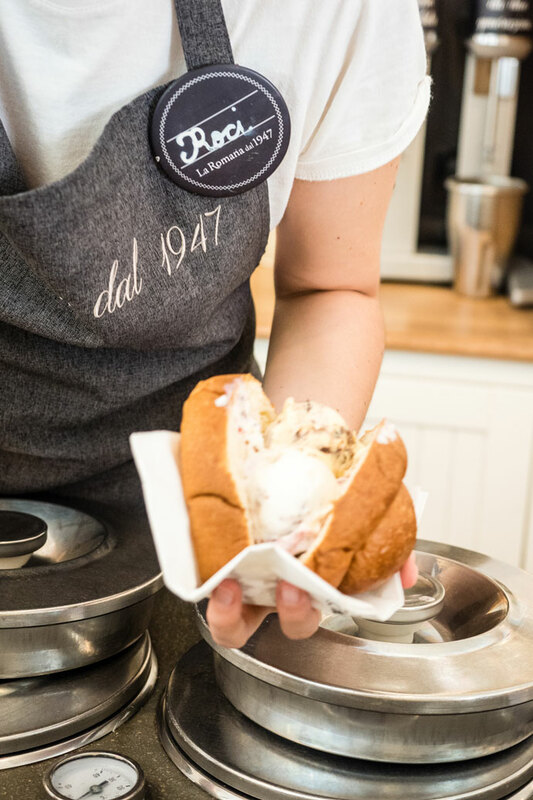 If you are near the Vatican or Pizzarium (see where to eat in Rome), then another store called ‘Il Gelato Bistro’ also sells this gelato. This location feels more like a neighbourhood gelateria. Il Gelato has all natural ingredients and some unique flavours. Come il Latte Gelateria is such a beautifully designed shop. 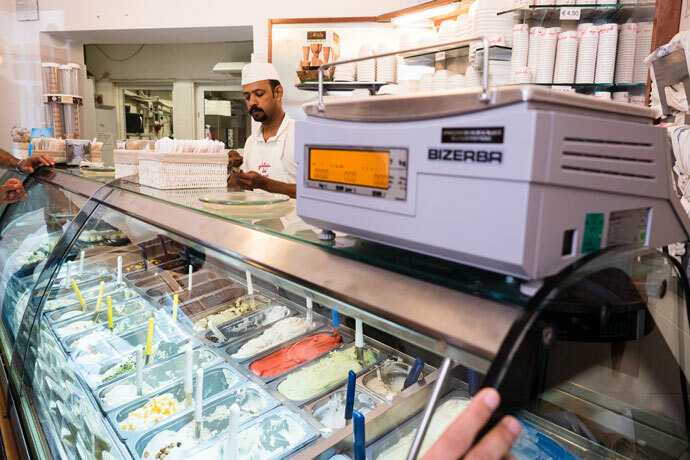 Gelato is made daily and served at a slightly higher temperature to improve the flavour experience. 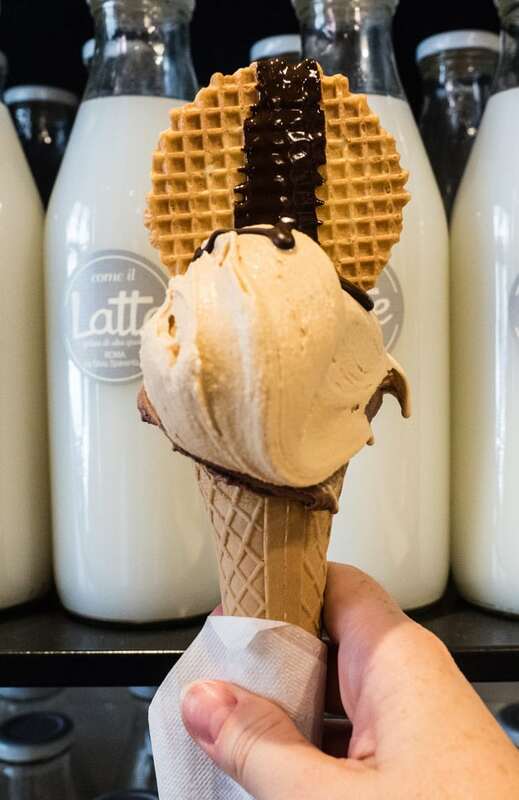 You also have the choice of white or dark chocolate sauce on your gelato. 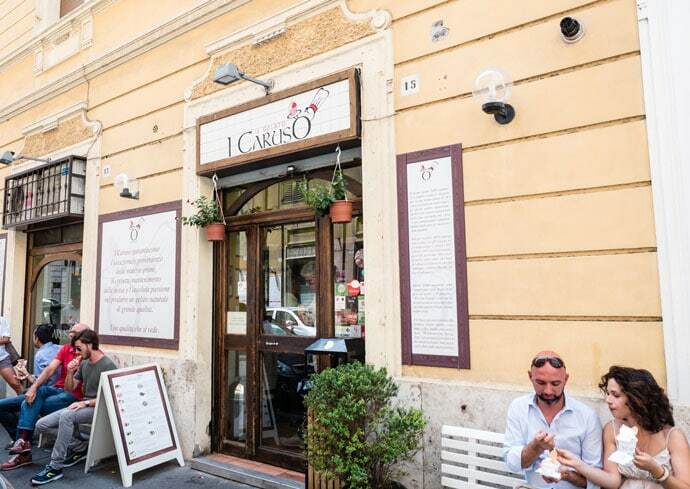 I Caruso is a little shop with a small but delicious selection of flavours. 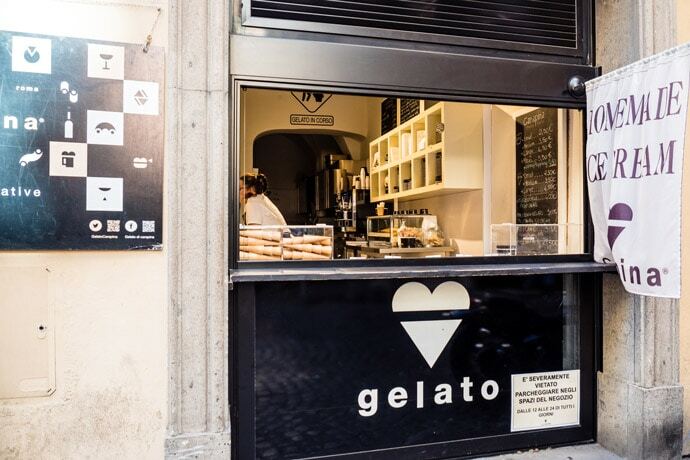 It feels like a traditional gelato experience and the service is very friendly. 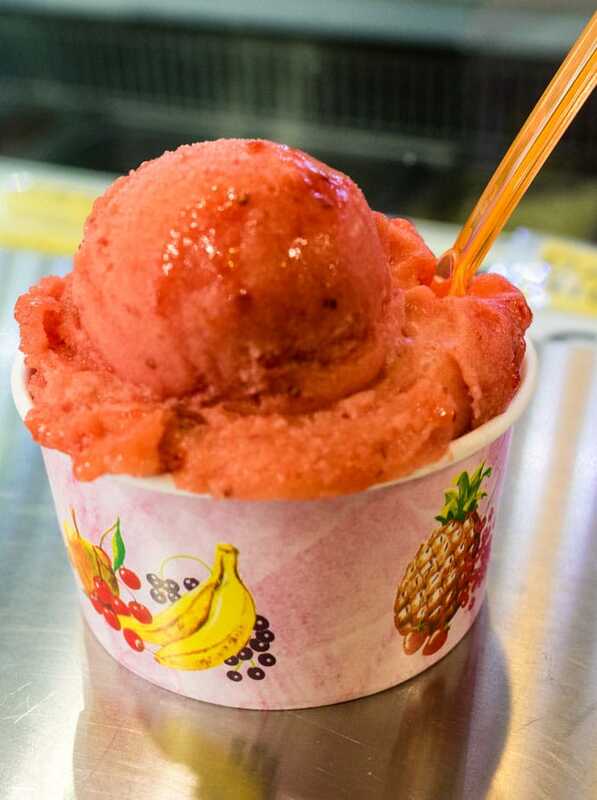 La Romana feels like gelato heaven. 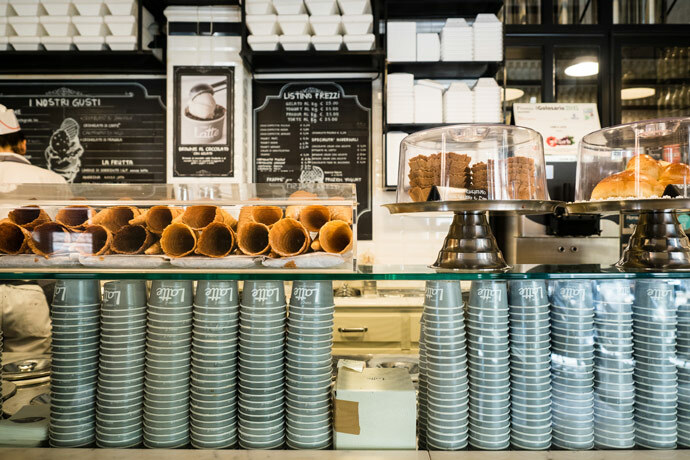 With the gelato lab on site, beautiful interiors and plenty of seating, La Romana is a place you will want to linger. We couldn’t resist the Gelato Brioche! Carapina is located in a beautiful little cobblestone street in Rome. Great location and great gelato! 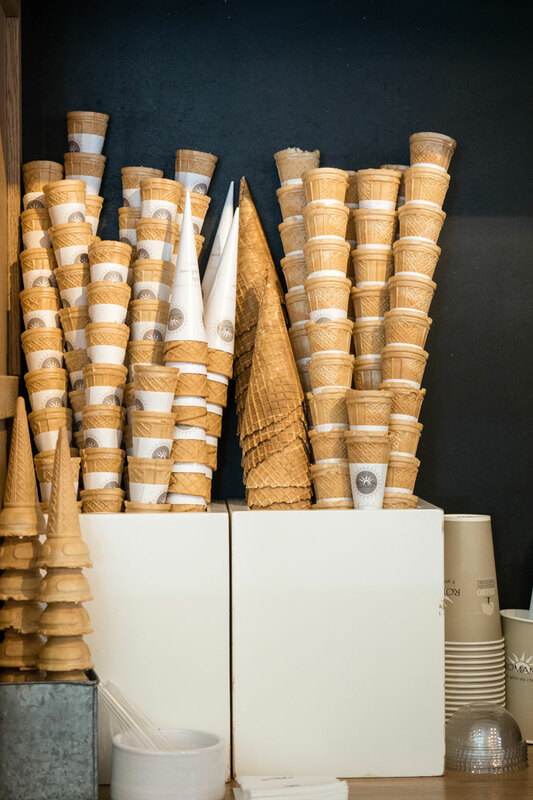 Gelateria dei Gracchi have daily made gelato with traditional and creative flavour creations. It can get very busy and they have a ticketing system, but it’s worth the crowds to taste the delicious flavours. Lemongrass Gelato sources quality ingredients for their daily made gelato. 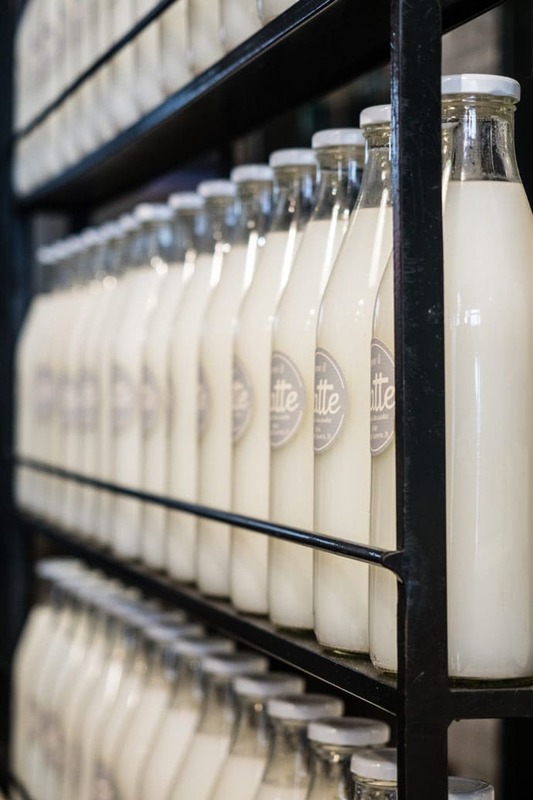 In an easy to reach location in the city centre and Vice gelato is also natural. 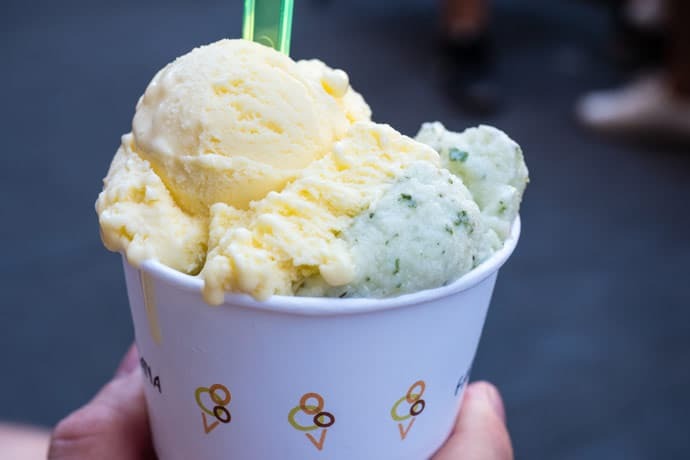 Some other great ones that I still really enjoyed were Giolotti and San Crispino, but my taste buds preferred my picks above for best gelato in Rome. 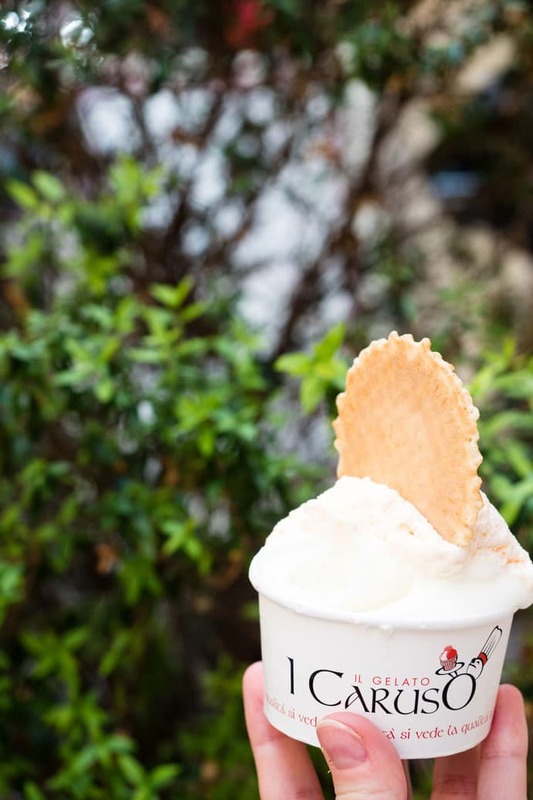 What’s your pick for the best gelato in Rome?